Download "Basics of Mail. With Leanne Herman, RR Donnelley & Sons Secretary, Milwaukee Postal Customer Council"
2 Leanne Herman Leanne has been working in Postal Affairs for over 18 years. She is a graduate of Upper Iowa University and holds the CMM, CMDSM and GAE professional certifications. Leanne has been a local and regional speaker at numerous PCC events. 9 Classes of Mail First Class Mail: Includes : Priority Express, Priority, First Class, Business Reply, Postcard Rate Category All items can be mailed at First Class rates; however all items of personal nature must be mailed First Class Statements of account, invoices, payment histories, donation amounts, etc. Presorted First Class must be a minimum of 500 pieces Standard Mail Cannot exceed 16 oz. Typically comprised of advertising mail Circulars, flyers, advertisements, etc. Presorted Standard Mail must be a minimum of 200 pieces or 50 lbs. Nonprofit Mail is a subcategory only of Standard Mail and Periodicals Mail There is no First Class Nonprofit Postage Rate category. 10 Classes of Mail Periodicals: A very specialized class of mail that requires different processing Package Services Includes: Bound Printed Matter, Parcel Select, Media Mail, Library Mail Basically same content as Standard Mail difference is that it exceeds the 16 oz. 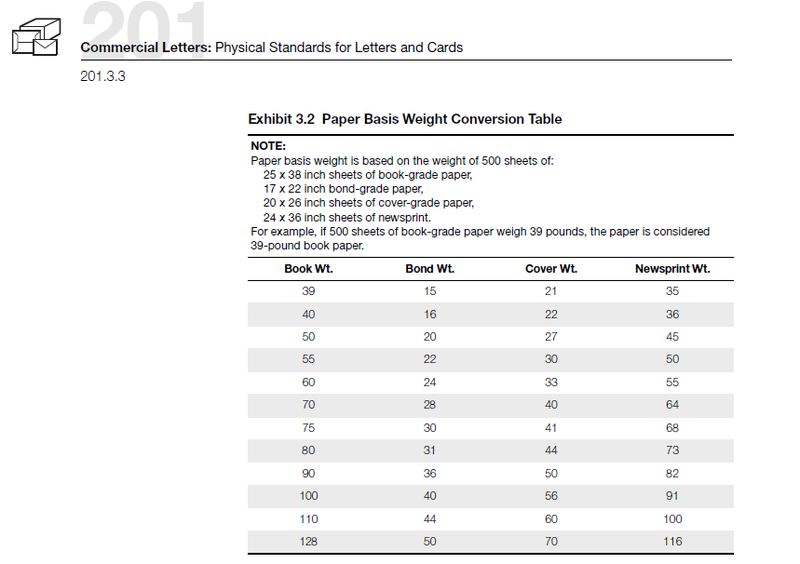 weight restriction Presorted BPM must be a minimum of 300 pieces and must be bound and printed BPM can be flats or parcels, depending on thickness Catalogs over.75 thick are BPM parcels. Specialized rules and fees regarding drop shipment eligibility and postage rates. 15 Booklet Style Mailpieces Maximums: 6 x 10.5, 3 oz Weight is critical under trim if necessary Simple Spine Booklets Up to 9 long Minimum 50# book weight cover pages Simple Spine Booklets Over 9 and up to 10.5 long Minimum 60# book weight cover pages Body Pages do not have to match stock of cover pages Spine at Bottom in relation to the address area Must have 2 or more stitches or staples DO NOT ALLOW 1 stitch or staple - EVER SIMPLE SPINE BOOKLETS Maximum weight 3 ounces Maximum height 6 inches Maximum length 9.5 inches unless noted Cover paper weight 80-pound paper unless noted: see Exhibit 3.2 Basic Cover: 5" to 9" long at least 50-pound paper Over 9" up to 10.5" at least 60- pound paper The front cover may be up to a maximum of 0.25 shorter than pages and rear cover. Nonperforated 1.5 tabs. Place one tab on the leading and trailing edges within 1" from the top; position one tab on the lower leading edge 0.5" from the bottom. Mailing Services. Made Easy. Providing the information and tools for your mail pieces from start to finish. PRINTING AND MAILING, INC. UPDATED January 23, 2014. Let s Be Friends! What Are You Mailing to an APO/FPO Address? So, you want to do a Bulk Mailing? When preparing your Mail Plan there are a few key decisions that you must determine before you start. DATES: We must receive comments on or before [INSERT DATE 30 DAYS FROM DATE OF PUBLICATION]. United States Postal Service Statement - Standard Mail Post Office: Note Mail Arrival Date & Time (Do Not Round-Stamp) Mailing Mailer Permit Holder's Name and Address and Email Address, if Any CAPS Cust. B Bounces Emails that do not reach their final destination. See hard bounce and soft bounce. A Guide For Postal Procedures MAIL SERVICES AT U.S.M. 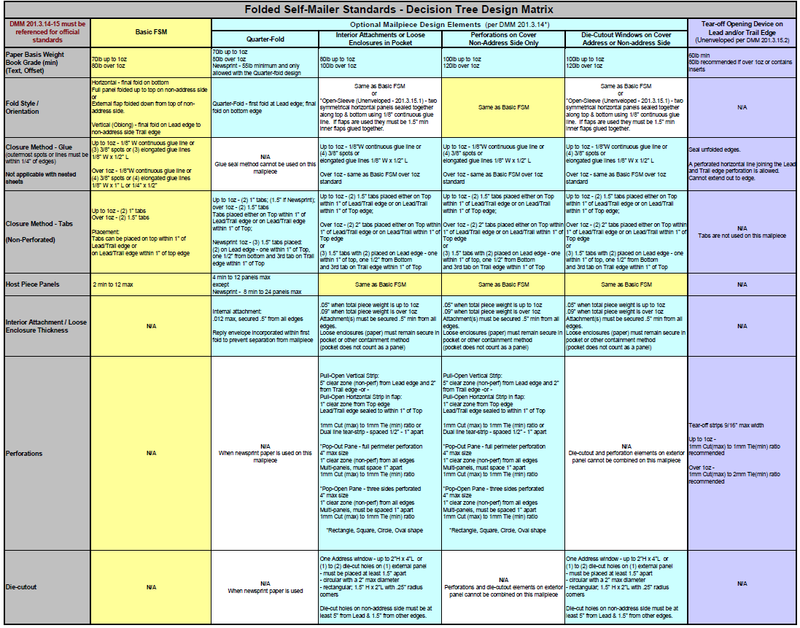 Program Requirements 2015 EMERGING AND ADVANCED TECHNOLOGY PROMOTION CONTENTS I. BACKGROUND... 2 II. PROGRAM DESCRIPTION... 2 III. ELIGIBILITY REQUIREMENTS... 3 A. Mailpiece Content Requirements...3 B.